When you are looking to implement your company’s marketing plans, then there is no better place to start then with Datum. Datum offer an array of media services that can be tailored to meet the specific needs of your business. Datum will thoroughly research and negotiate prices for any advertising campaign that you required, make recommendations based on the media and campaign parameters, and provide market insight and analysis, all at no cost to you. 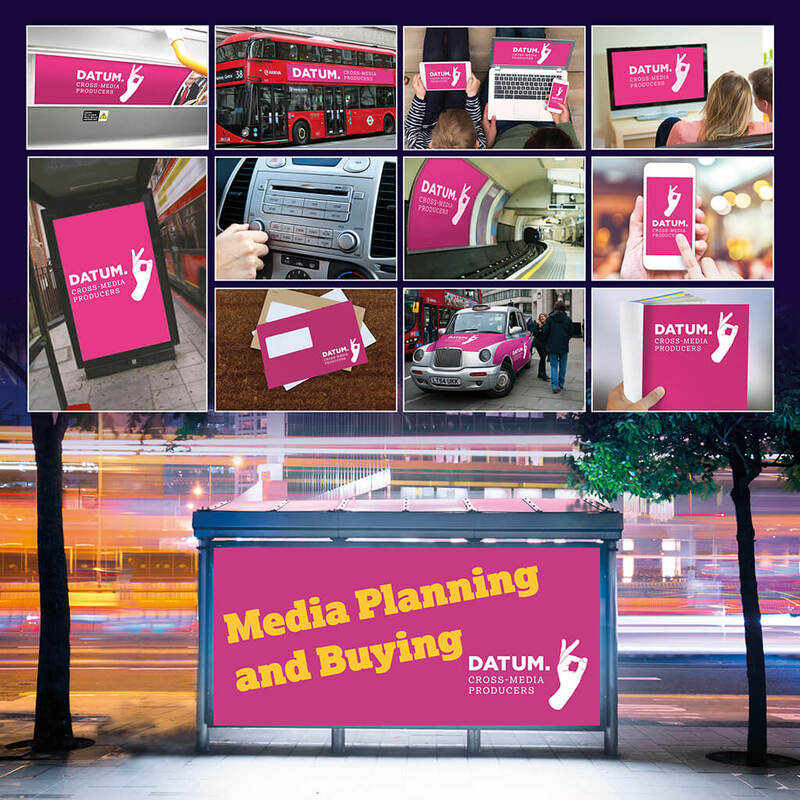 Datum have highly knowledgeable specialists that are familiar with all aspects of selecting and buying Television, Print, Radio, Outdoor, Cinema, Inserts, Direct Mail, Digital & Social Media. We have established longstanding relationships with media owners, which makes it easier for our clients to achieve the desired results from the campaigns. Due to the volume of business that Datum bring to the UK media owners, we are in a position to negotiate more favourable terms for your business. Examples may be added value ad space for your spend or extended contract times on out of home media. Our agency partnership, billing c.£200M annually, means we have all the marketplace clout of the ‘big boys’ yet you still enjoy the free-thinking flexibility, neutrality and total transparency of a dynamic independent operator. Datum’s services will benefit your company by bringing efficiency into your media campaigns. We are able to provide efficiency be eliminating the layers of contacts the most companies have to go through when managing campaigns directly or through other agencies. We will provide on point of contact for your business. The contact will liaise with the necessary media owners regarding research, contracts, production, implementation, billing and reporting. Streamlining the process in this way save times and allows you to focus on the other important functions in your business. Where does our experience help your business in the UK media landscape? TV, and Direct Response TV (DRTV), is a core specialism of Datum. We believe TV is THE ‘game changer’ medium for businesses, and we have the case studies to back this up. Datum do not offer your typical DRTV planning and buying. We do TV that works and gives measurable business results and improvements. Our knowledge and experience together with the most sophisticated response techniques and systems are all fuelled by real life data, ensuring that we consistently deliver focussed and relevant TV campaigns that grow businesses. Our agency partnership is with a leading UK digital media agency, ranked within the top 10. Our broad digital media billing profile enables us to remain impartial but alert to the emergence of new platforms, trading dynamics and technology developments. This means that our clients are always ahead of the customer acquisition curve; more so, they are availed of the true contribution their digital marketing spend is making towards the whole marketing effort. Our strength in digital comes from having a desire to remain format and media agnostic as well as results orientated at the most granular level. Even more significant is the wealth of empirical data we have built across most verticals and the insights that have led us to build true cross channel attribution models rather than just simply talking about that utopia. We also understand that ROI can come in different shapes and sizes. The traditional, well-established medium of press continues to form a vital role of the media mix for many of our clients. As leading press buyers, we have the knowledge and experience to deliver results focussed campaigns. Our knowledge of press acquisition is enhanced through detailed response analysis, enabling us to identify differences in response rates with the use of variables including, but not limited to, size, placement, display, position, response and price. A flexible approach to buying allows us to exploit short term opportunities and deliver significant cost advantages. Our proven methodology is well understood, appreciated and useful to media owners. Indeed, our strong proactive relationships is such that publications regularly come to us first with opportunities, ensuring maximum value can be leveraged for our clients. The result is that some 70% of all our press activity is bought in this way. It’s no accident that we represent one of the largest loose insert buying points in the UK, with some years almost 1 billion inserts per annum passing through our office. Our unrivalled expertise in the insert advertising field has seen numerous clients profiting from our knowledge, many of whom have only found success with the medium for the first time after working with the Datum team. With our guidance, clients are able to harness the full potential of this medium which repeatedly offers good ROI by delivering your offer directly into your consumers’ hands – and in their own chosen media. As well as optimising and planning for results, our team provide guidance on format restrictions and, crucially, can advise on how to maximise impact within an increasingly crowded commercial environment. Our enviable insert media buying experience means we are able to identify any potential pitfalls and carry out necessary checks with our bespoke system, LIMS (Loose Insert Management System). LIMS actively manages potential hazards and creates a transparency and easy distribution of information between media owners and printers. The power of communicating with the consumer at home is well known to us and door to door advertising provides a traditional, proven responsive route to achieve this. Clearly the opportunity to target niche groups through the application of geo-demographic targeting is a key characteristic and benefit of the medium. However, the ability to maximise performance requires in-depth understanding of the routes available, their correct application to different business needs and a sound, evolving targeting methodology. We have seen door drops being massive “trial generators” for the most cutting edge digital businesses – a good example being LoveFilm.com – while also doing a more traditional job for retail and utilities and the scalability can mean annual distribution for a single client of over 100 million items. An impressive 38 million adults listen to the radio every week. Understanding how to access this intrusive ‘one-to-one’ mass medium is vital to ensure the most effective ROI is delivered. Our proven success in this area shows that we certainly have that understanding. The proliferation in station numbers has meant a very significant increase in target audience segmentation for the advertiser, therefore access to the right research plus a database of past results is essential to make the most of the medium. The intelligence and systems we utilise allow us to plan cost efficiently against highly specific audiences, but we still do so at the very lowest rates in the market. Furthermore radio has more then held its own in the digital age. Multi-platform radio – whether it be via phone, tablet, PC or DAB enabled digital device – has opened up a whole range of integrated opportunities. And we realise it is not just about immediate response. We work with a number of retailers whose objectives are short-term footfall and long-term brand awareness, an approach which is more ‘brand responsive’. And all the while we consistently deliver successful direct response radio campaigns, achieving not just brand building but tangible business results; usually with a significant ROI. But it’s not just about standard spot airtime. Radio also gives a wide range of potential formats to the advertiser including those which allow us to deeply engage an audience as well as imparting a substantial amount of product detail. This is often done highly effectively by more “under the radar” options and it means we have built up considerable expertise in the strategic use of DJ led radio promotions, ‘Radvertorials’ ©, and content or story-led solutions. To many people, outdoor may not be an obvious choice as a response-driving, customer acquiring media type, but if used correctly, it can be a hugely effective medium. Here at Datum we have developed a unique three point scoring system for successful outdoor; three criteria that need to be met in a certain combination in order to optimise outdoor and enable it to work as a fully fledged acquisition medium. We will let you in on one secret though – dwell time is a key part of making outdoor responsive. If you have the attention of an audience for a reasonable period of time, it increases engagement and makes USPs easier to communicate. If you give them a reason to act now, you can have a very strongly performing campaign on outdoor with immediate results. If you can make outdoor pay for itself, there are fantastic spin-off brand benefits. Outdoor has a tremendous brand effect in its own right and can generate considerable reach very quickly and at the high frequency that has long been a strength of the medium.